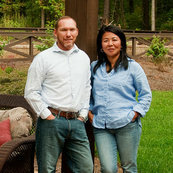 Sean Gallagher, owner of Jasper Builders, is a TRUE custom builder. I am a perfectionist and will not settle for medicoracy. The professionalism and craftsmanship of Sean and his team is unparalleled and exceeded my expectations and I have and will continue to refer family and friends to Jasper Builders.